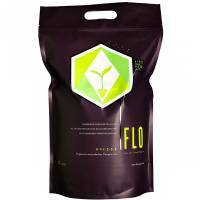 FLO Superfood 5L is a BIO fertilizer for growth and flowering. Rich in macro and micro nutrients, enzymes, humic and fulvic acids, amino acids, silicates, calcium, magnesium, fungus and beneficial bacteria. 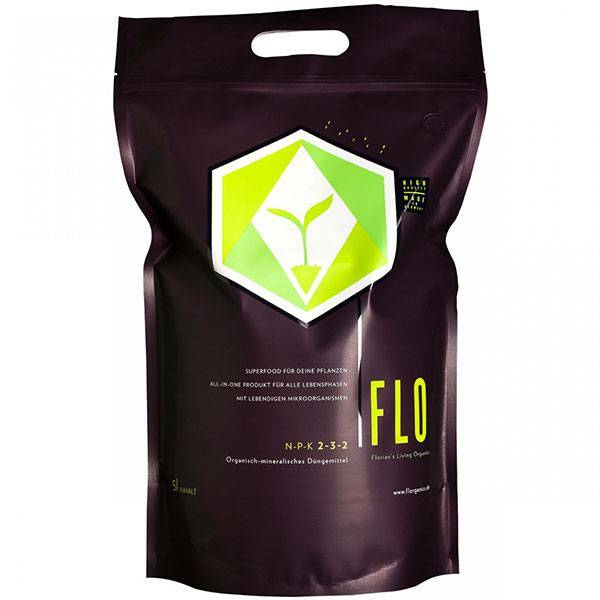 The high quality ingredients contained in FLO are all natural and low-chlorine, form an unique and complete product. Naturally occurring organic fertilizers which supports plants in growth and flowering / fruiting. It is rich in organic nutrients and micro-nutrients of mineral and animal wastes such as Leonardite and wormwood humus. 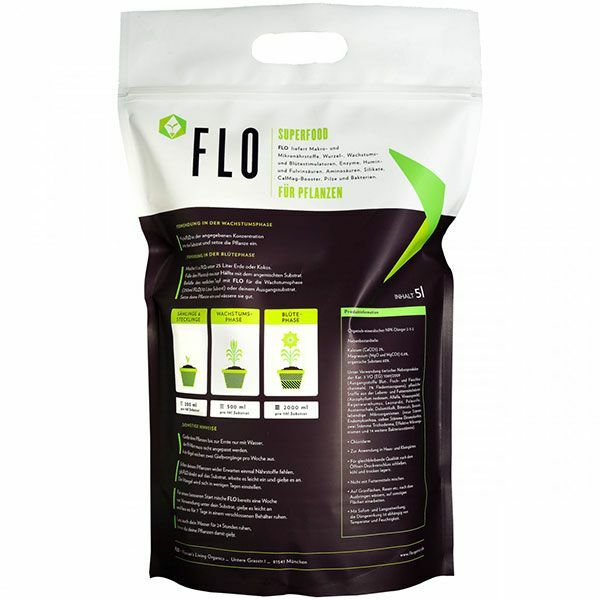 One tip: To improve the fertilizer effect, mix Flo with the substrate for 7 days before use. After use, seal the envelope and store in a cool, dry place.